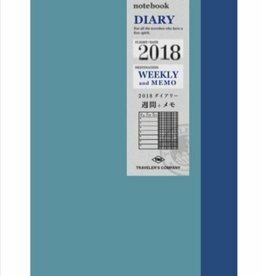 Midori Traveler's notebook is a Japanese type organizer with a roughly handcut leather cover and can be customized using numerous refills. Once you have your original traveler's notebook, take it in your hand and spend your daily routines as if you were travelling. With this new point of view, you will surely find new aspects to what seemed like a usual scene. The more you use it, the nicer it gets! 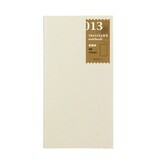 Just refill your Traveler's Notebook easily with this lined paper refill 001 from Midori if you're totally finished. 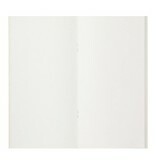 This lined paper refill is easily added to your notebook and perfect for sketches or other notes! Organise your notebook easily with this zipper pocket. 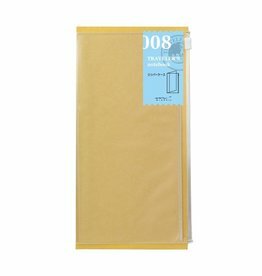 These are perfect to store cards and notes but also larger stuff like elastic bands, paperclips etc. A stylish multifunctional pocket for in your notebook! 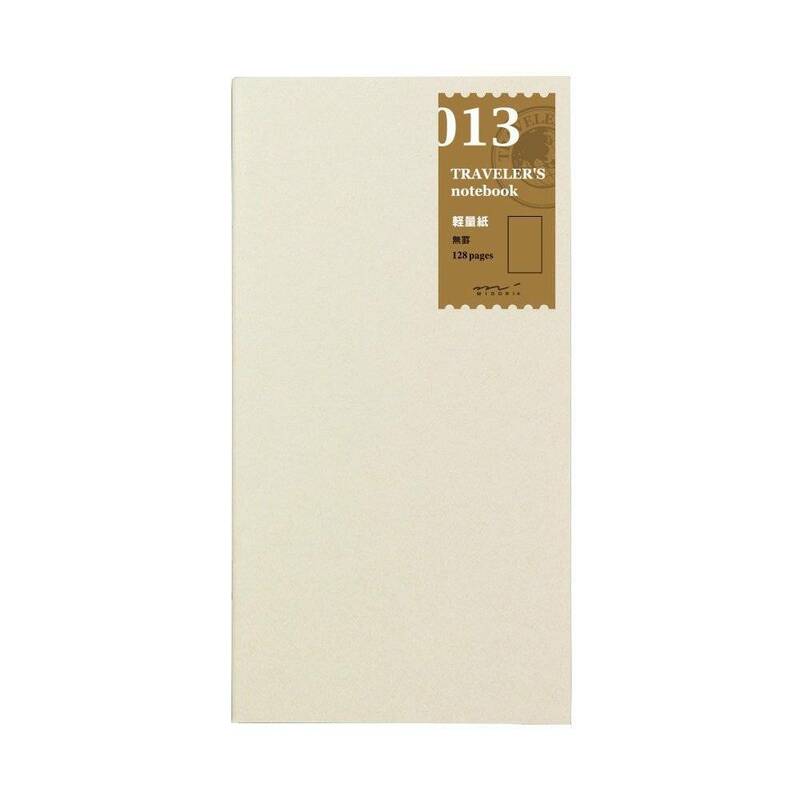 Just refill your Traveler's Notebook easily with this grid paper refill 002 from Midori if you're totally finished. 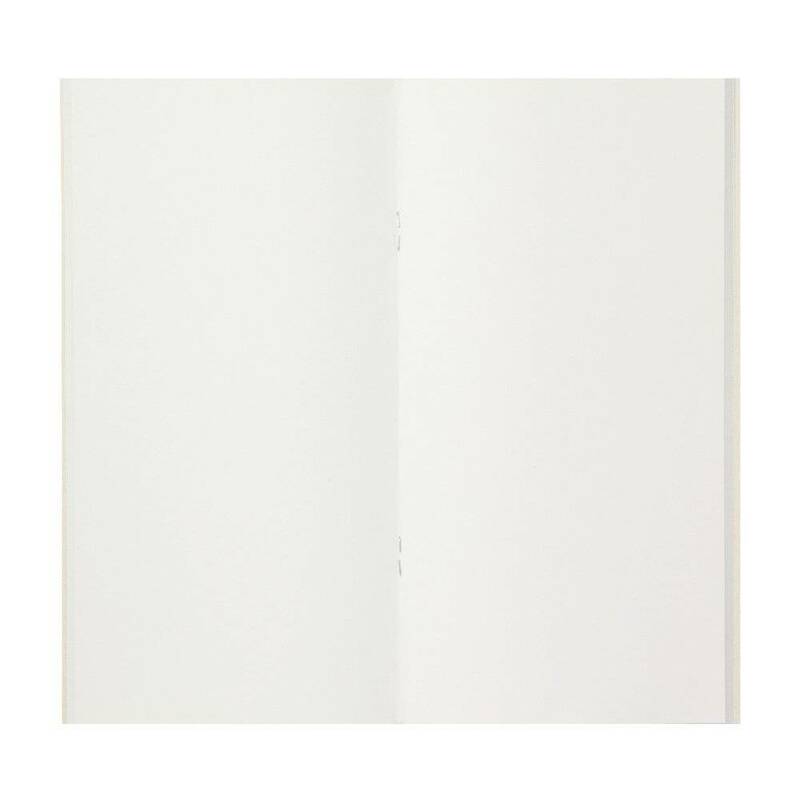 This grid paper refill is easily added to your notebook and perfect for sketches or other notes! 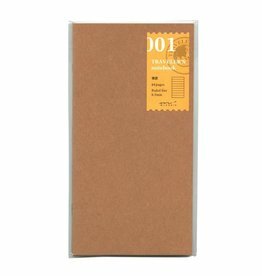 Organise your notes and make sure you don't write something down on the wrong page with these binding bands from Midori. These bindings bands make it possible to use just one notebook for different purposes!